Do you get eight hours of beauty sleep every night? According to a study from the National Sleep Foundation, getting enough rest could save your life. 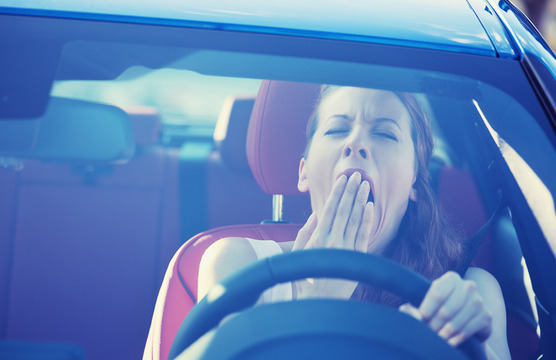 Nearly 60 percent of Americans have driven while feeling sleepy. A remarkable 37 percent of survey participants admitted to having fallen asleep behind the wheel within the past year. According to a study by the Centers for Disease Control and Prevention, 1 in 25 drivers aged 18 and older had fallen asleep behind the wheel within the last 30 days. In 2013, drowsy driving caused 72,000 crashes, 800 deaths and 44,000 injuries. All motorists have a responsibility not to get behind the wheel if they are too tired to drive. If you were injured in a crash with a drowsy driver, then you may be entitled to compensation for health-care expenses, lost income and other damages. A Phoenix personal-injury lawyer from the Rudolph & Hammond Law Firm can evaluate your accident to determine if you have grounds for a claim. Call 480-951-9700 to schedule a consultation. What Are the Main Causes of Drowsy Driving? And the consumption of alcohol or drugs, especially when already fatigued. A combination of these factors is particularly dangerous. Which Groups Are Most at Risk of Drowsy Driving? Or drinking even small amounts of alcohol. According to the National Highway Traffic Safety Administration, more than 94 percent of accidents involve human error. As such, the vast majority of collisions are preventable. Staying off the road when you are drowsy can substantially reduce your risk of crashing. If you were injured in a wreck that a drowsy driver caused, contact the Rudolph & Hammond Law Firm. A Phoenix accident attorney will help you fight for the maximum compensation for medical bills, lost income and other damages. Call 480-951-9700 to schedule a consultation. DISCLAIMER: 1) SENDING EMAILS TO THE FIRM WILL NOT CREATE AN ATTORNEY/CLIENT RELATIONSHIP AND MAY NOT BE KEPT CONFIDENTIAL; 2) VIEWING THE WEBSITE DOES NOT CREATE AN ATTORNEY/CLIENT RELATIONSHIP AND IS ONLY LEGAL INFORMATION; AND 3) THE FIRM PRACTICES IN THE LOCATIONS LISTED ON THE WEBSITE AND JURISDICTIONS WHERE FIRM LAWYERS ARE ADMITTED.